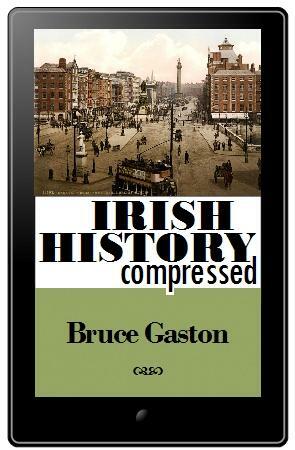 Our website address is: https://www.irishhistorycompressed.com. Comments are disabled on the site. You can use a contact form to get directly in touch with us or to subscribe to an automatic service that notifies you whenever a new post appears. In such cases, your e-mail address is only used for the single purpose you provided it for (a direct reply or automatic notification). Google Analytics is also installed on the site. MailChimp is used to collate e-mail addresses submitted by users for the purposes mentioned above. As mentioned, Google Analytics is also installed on the site. Theoretically, for ever, as you presumably want to hear about all future posts. All users can see, edit, or delete their personal information at any time (except they cannot change their username). Website administrators can also see and edit that information. E-mail addresses submitted through the website are collected using MailChimp.